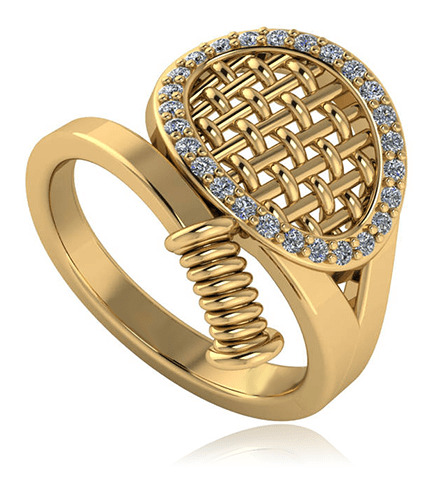 The Tennis Racket Pave Cubic Zirconia Ring is the perfect way to show your love of tennis. 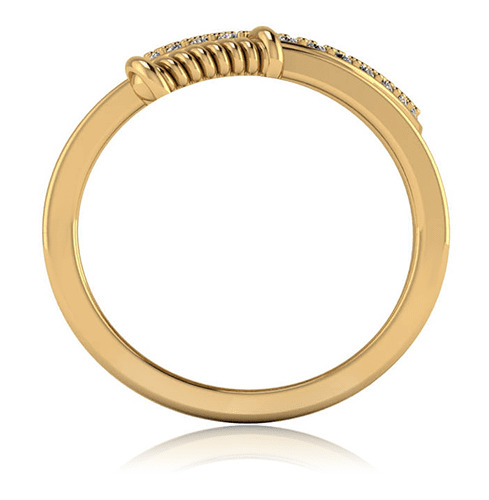 Whether you are a player or a spectator, this Tennis Racket Ring makes a wonderful addition to your fine jewelry collection. A lifelike fully detailed tennis racket is accented by a halo of pave set round cubic zirconia and beautifully wraps around your finger. The strings, grip and rest of the racket are expertly designed in solid 14k yellow gold or 14k white gold. This tennis racket ring includes just over .25 carats in total carat weight of pave set rounds in a shared prong setting. Our Russian formula cubic zirconia is hand cut and hand polished to exact diamond specifications for a stunning look. The entire width of the top of the tennis racket measures approximately 17mm from side to side and a width of approximately 3mm at the bottom of the shank. Available in whole and half finger sizes 5 through 8. Larger and smaller finger sizes are available, please call us directly at 1-866-942-6663, option 2 or visit us via live chat and speak with a knowledgeable representative.